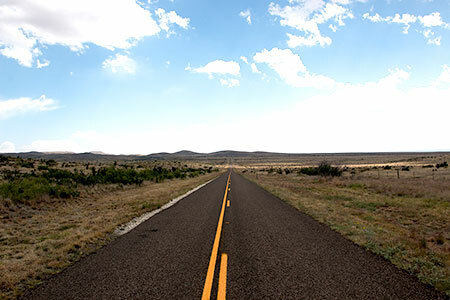 The Davis Mountains scenic drive is a great drive any time of year, unless it is icy, which is uncommon. This is an approximately 90 mile trip through the Davis Mountains that takes about 90 minutes but if you're in that big of a hurry slow down or you will miss a lot. You can start this drive at any point along the route and can go either clockwise or counter clockwise around the map. Many of the mountain peaks look different when you come from different directions. My description of this drive is going to start in front of the Jeff Davis County Courthouse in downtown Fort Davis, Texas, right across the street from the Jeff Davis County Library and the Hotel Limpia . Both are very interesting places in their own right. OK, Now with the courthouse out your driver side window and the library out of your passenger side window proceed Northeast down Texas Highway 17. 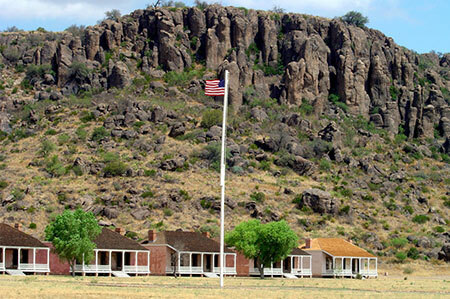 About a quarter mile down the rode on the left is the Fort Davis National Historic Site, put that on your to do list. You can come back another day or you can pull in there right now and visit the best restored frontier fort in America. 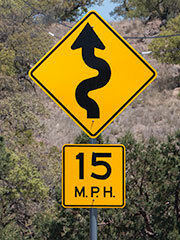 Keep going straight for about a quarter mile then curve left on to Texas Highway 118 to the West. On your left you will be seeing lots and lots of rocks and if you are really sharp you will see the remnants of the old fort steam powered pump station used to pump water from Limpia Creek on your right to the Fort. A little further down the road you might spot a really neat roadside park built into the rocks. In a few miles you will approach what can be a busy intersection at the entrance of the Davis Mountains State Park. It is one of the most popular State Parks in Texas. It's a favorite among bird watchers and campers alike. Also in the park is the Indian Lodge State Park Lodge. It is a pueblo style hotel built by the Civilian Conservation Corp (CCC) in the late 1930's. The CCC also built a scenic drive of its own. Put this park on your list. Several miles down the road on your right is Prude Ranch. 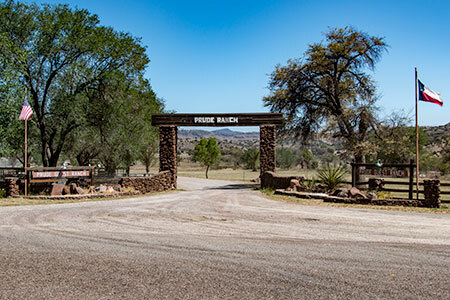 This ranch was founded by Andrew Prude in 1887. In 1921 the Prudes' started the Prude Guest Ranch to share beauty of the land with city dwellers. It's still a great family vacation spot. In the next several miles you will slowly climb out of Limpia Canyon and gain elevation toward Mount Locke. 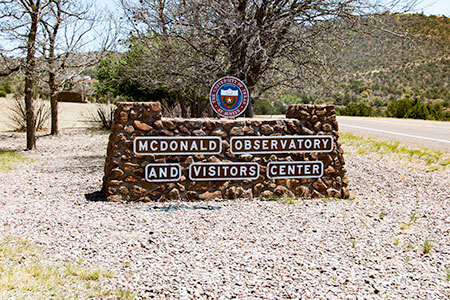 Watch for signs that will guide you to the McDonald Observatory Visitor's Center. The Observatory complex is owned by the University of Texas and is used by astronomers around the world. The community of the complex is like a little piece of Austin, Texas, right down to the non GMO, gluten free potato chips served in the visitor's center café. 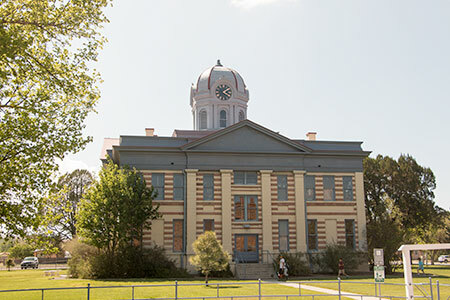 From the visitors center you can travel up to the top of Mount Locke, the site of the original observatory, and admire the vista of the surrounding mountains. This is also the highest point in the Texas Highway System. Put this place on your list. There are many things you can see and do here such as their very popular star parties; however you have to make reservations early. As you drive out of the complex to get back on Texas 118, be sure and go right and you will be going the right direction. Have we used up our 90 minutes yet? We only have 60 miles to go. The next 60 miles of this scenic journey are in the eyes of the beholder. 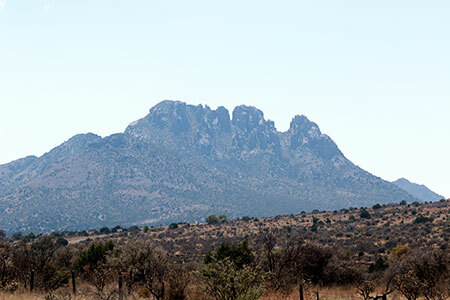 You will see the essence of the Davis Mountains region. Watch for wildlife in the road and cattle. Did you pack a picnic lunch or just need some downtime in a quite secluded place? Consider stopping at Madera Roadside Park. Yes it's right on Texas 118 but there is no traffic. About 15 miles after you leave the McDonald Observatory Complex turn left onto Texas 166. Go 32 miles on Texas 166, turn left onto Texas 17.